The cartridges that you install into your printer are equally as important to the quality of your prints as the printer itself. Epson understands this and makes sure that all of its cartridges get your machine working to its optimal capacity. 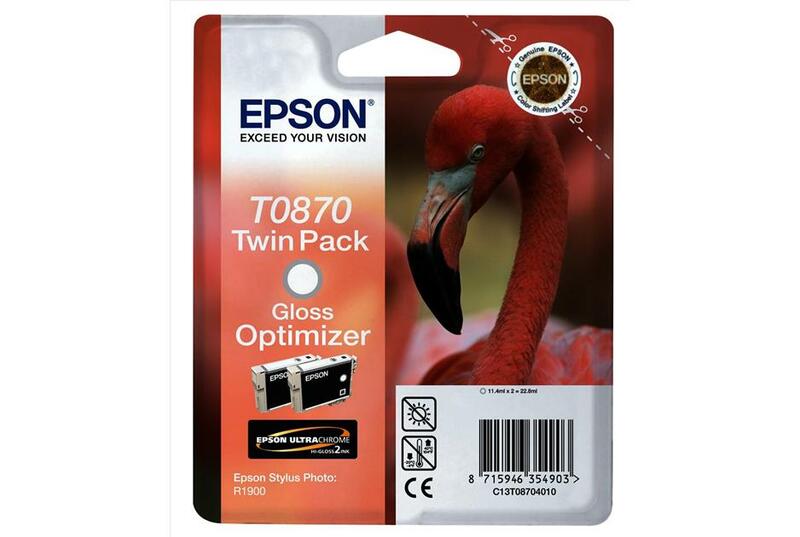 This twin pack genuine Epson T0870 gloss optimiser cartridges ensures that your prints not only have sharp and clear printing, but also have a professional glossy finish. With 11.4ml of gloss optimiser per cartridge and a total page yield of over 3,600 pages per cartridge, you can make sure that your images really leap off the page.